Lindsay Lohan is mad as hell about the demise of How I Met Your Mother and she’s not going to take it anymore. The newly sober Mean Girl joined Billy Eichner on last night’s episode of Billy On The Street to sledgehammer a Volvo emblazoned with HIMYM catchphrases and pictures of Neil Patrick Harris. 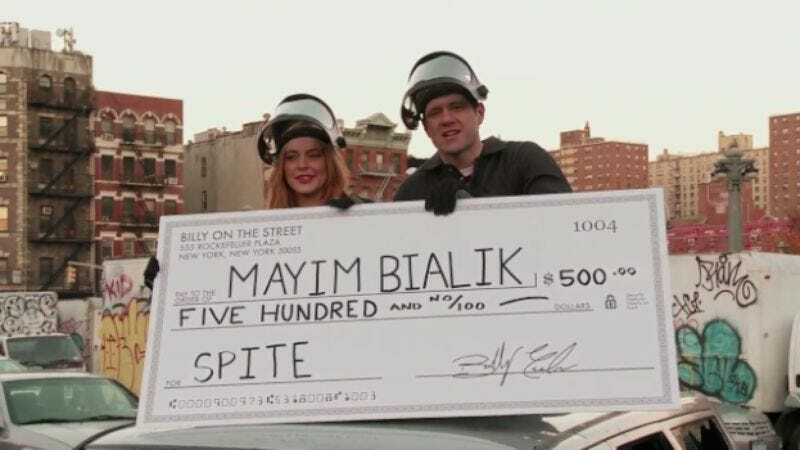 It was all for charity—that charity being Mayim Bialik—and it turned out just about as hilariously weird as the premise suggests. How I Met Your Mother ends this coming Monday, March 31. Reasonably sized sledgehammers for your own frustrated destruction-related purposes are only $34.97 at Home Depot.